Good Morning Gals! 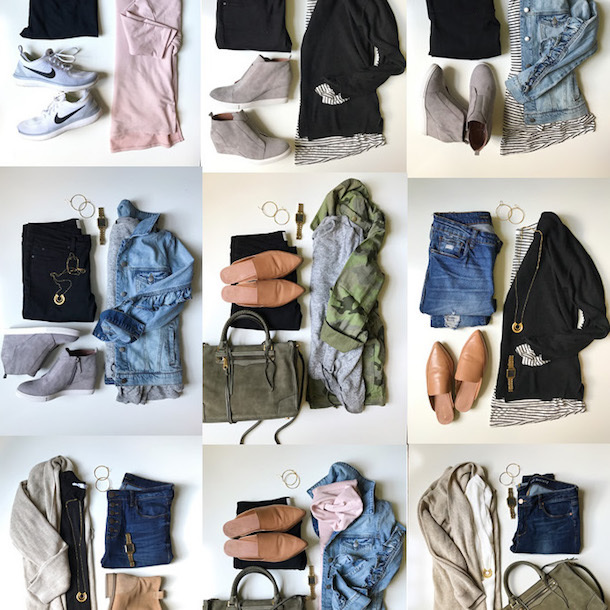 What seems to be the favorite post of the month is here–the September Amazon Fashion Haul! If you are new here, I spend hours and hours and hours scouring Amazon monthly for the most fun, functional, on-trend and affordable items that they have to offer! 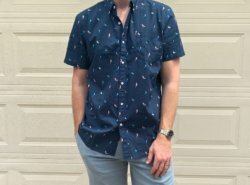 I order everything and try it all on to give you real time fit reviews of the best of the best pieces. I also try to make sure that everything is available for Prime shipping (although a few cute pieces sneak in that aren’t). If you are coming over from Instagram, everything here is linked in the order that they appear on stories. Would love to hear your favorites! This slouchy crossover sweater 1000% exceeded my expectations. It’s super soft, a wonderful weight and really really resembles the Madewell version. It’s also *perfect* for nursing mamas. I would size down as I found it ran generous. MAJOR FIND ALERT!!! 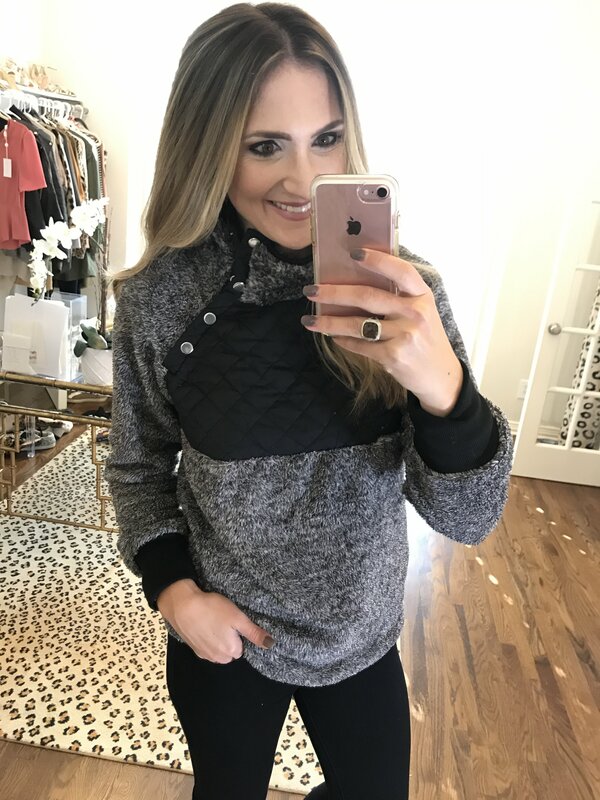 I’m sure you’ve seen this uber popular pullover floating around your Instagram feed lately, but guess what Amazon makes a dupe for ONE THIRD of the price! It’s actually super soft and the small fit great. Also comes in quite a few colors! Everyone needs one of these…college students, mamas, you name it….you need one! 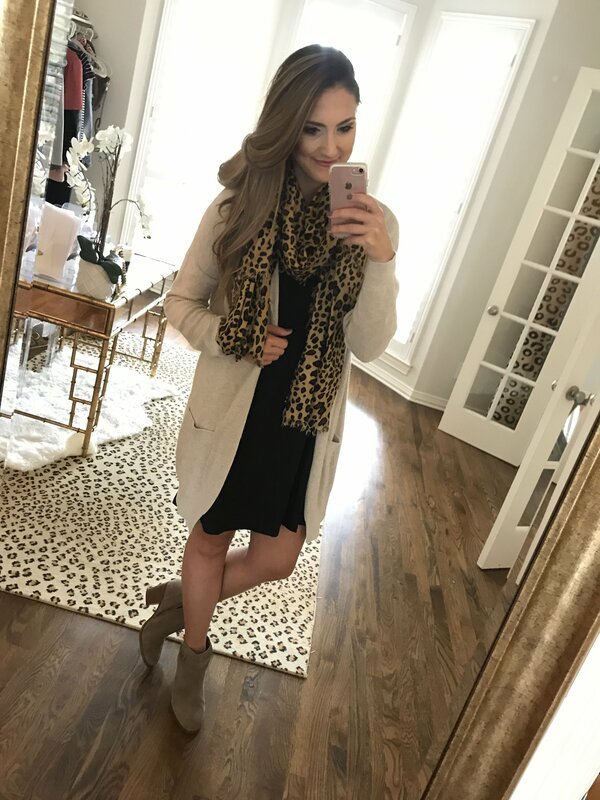 Remember the leopard cardigan from Nordstrom that sold out in a *hot second* a few weeks ago?! Well, this is a pretty great alternative that’s also $30 on Prime! It’s a duster length so it’s great with leggings and can easily be dressed up or down. It also comes in 2 other leopard prints! Packable down that’s well under $100 and actually fits well??? Yep! This one is $69 and super functional for everyday OR for travel. I can see myself throwing this on to pick the girls up from school or for weekend errands. I’m thrilled to find it and not spend the $200++ on the Northface! They also sell the REGULAR LENGTH ($39!) and THE VEST (under $20)! 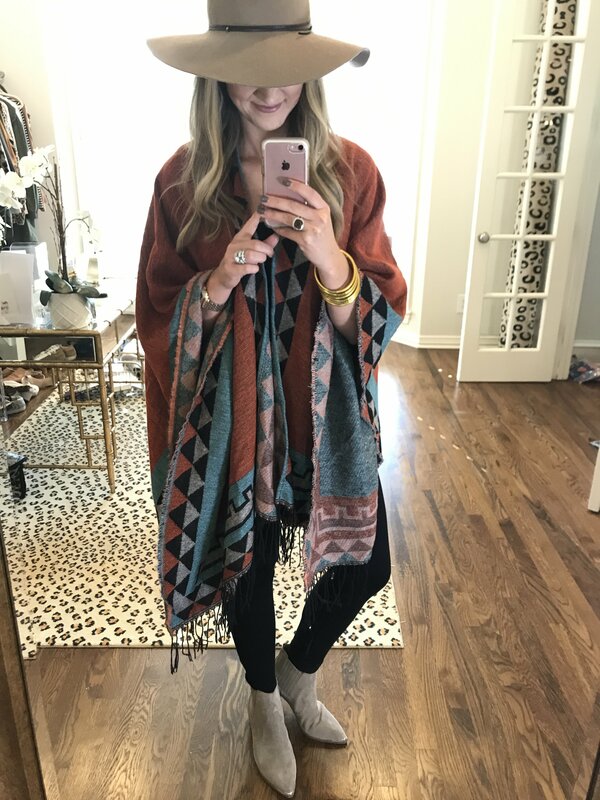 Y’all know I love a poncho…and add in leopard print and I’m clearly sold. Under $30 and the quality is AMAZING. A poncho, leggings and long black tunic with boots and a hat is my absolutely Fall uniform. Here’s another amazing poncho and this one is around TWENTY bucks! It also comes in over 20 colors! I love the southwestern print too, especially capturing the western trend happening now. 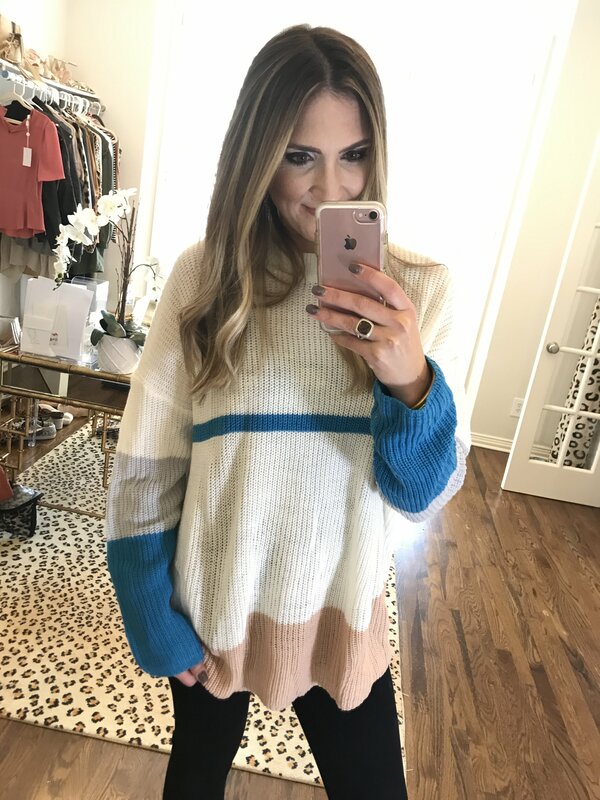 Color block stripes are a huge trend for Fall and I was thrilled to find this oversized pullover sweater for $15! Great with leggings and boots and a fun way to take on a Fall trend without breaking the bank! Similar Options: Color Block Cardigan (under $20) | Love THIS color combo with $13.98! 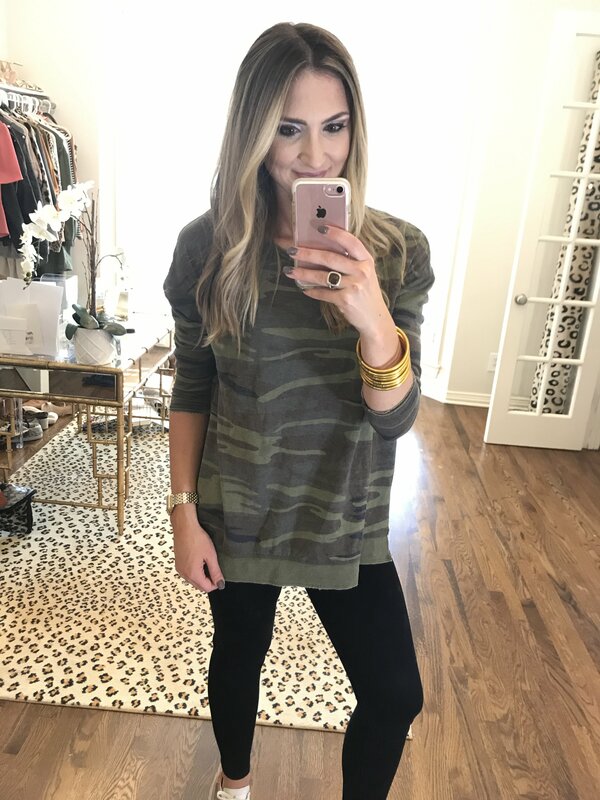 Trust me when I say that you will absolutely LIVE in this camo pullover! It’s the perfect weight, a great length for leggings and really is just a GO TO piece for everyday wear. Trust me on this. 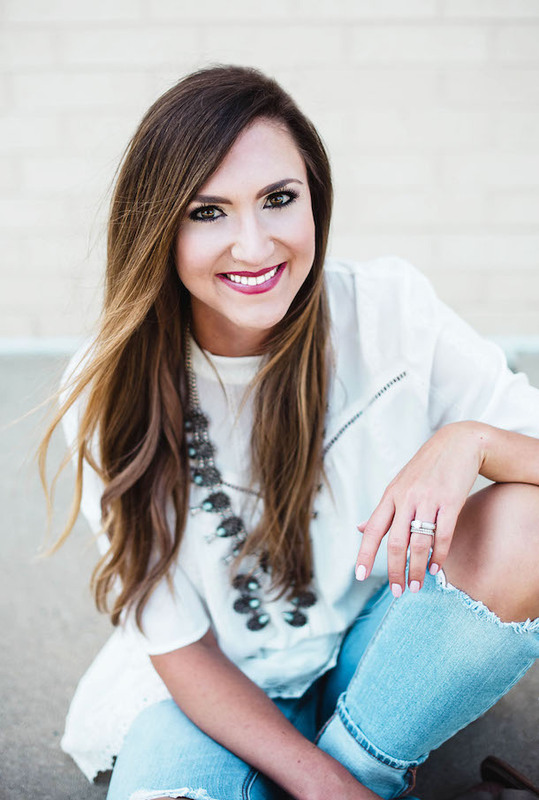 I always try to include a few great athleisure pieces in these hauls and this top was a total winner! It’s a lighter weight sweatshirt material that’s business in the front and party in the back. Wear it with your leggings and a sports bra or jeans and a cute bralette or black cami. Love this to throw on for everyday. This $19 swing tunic is a wonderful light weight and is made of a cozy + stretchy fabric that’s also great for layering. It’s a wonderful basic piece that comes in quite a few colors. 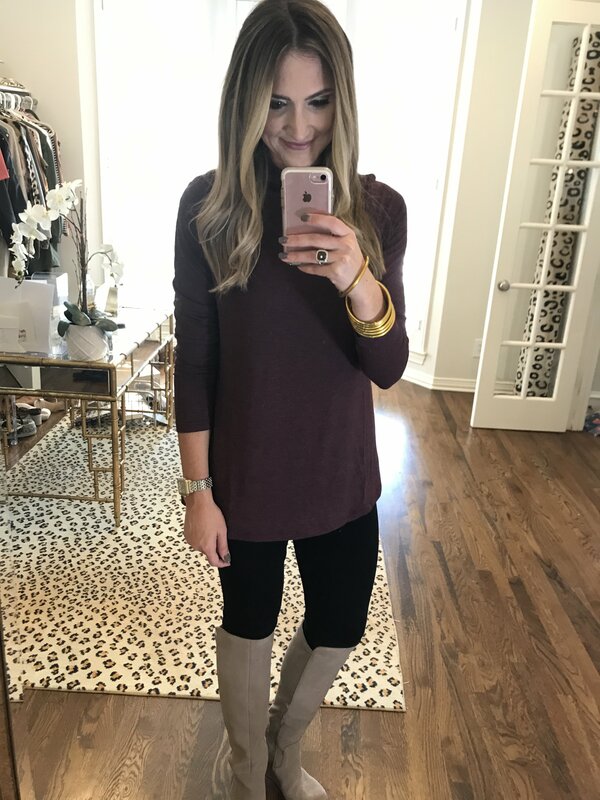 Maroon Tunic $19 + Prime Shipping (TONS of great basic colors, I’ve also ordered a black), runs TTS/wearing a S.
Definitely a favorite from the haul this under $20 2fer (two for one top) is such a great Fall piece. 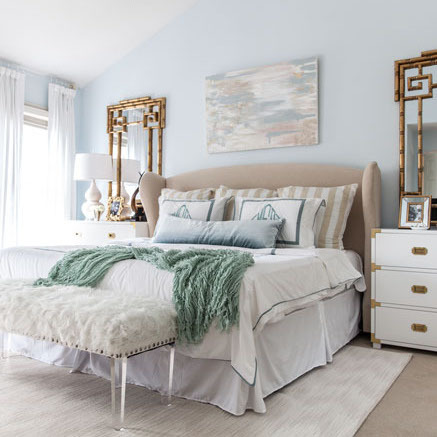 It’s a wonderful weight and has such girly details without being fussy. I can see myself reaching for this over and over. 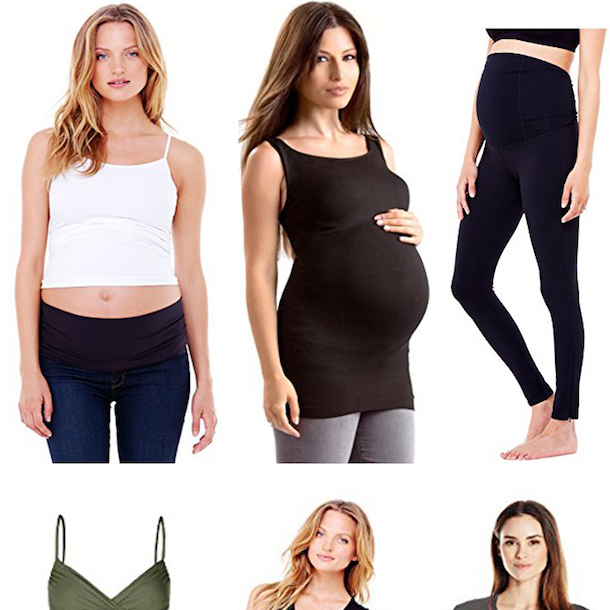 2-1 Top $18.99 + Prime Delivery | Wearing a Small here. Off the shoulder pullover, yes please? I love the lavender color of this one and the fit was great without feeling too boxy! 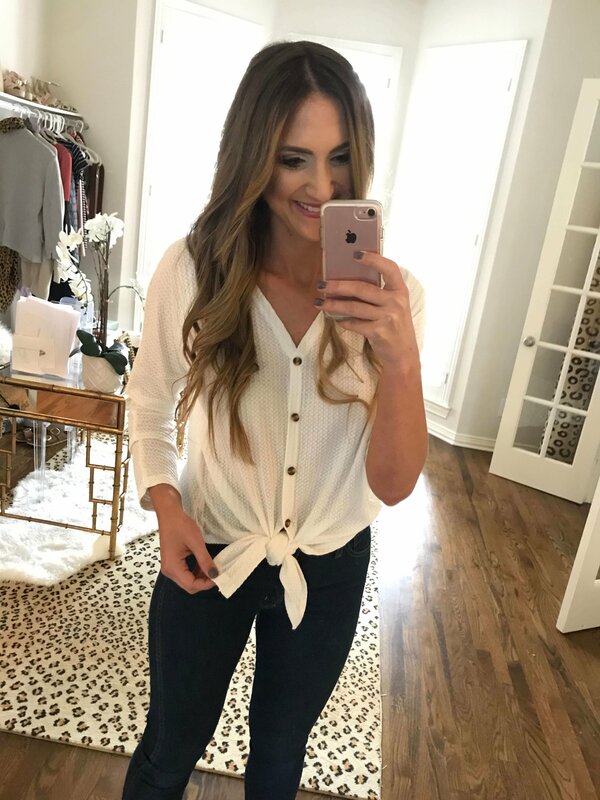 Halter Blouse $18.99 + Prime Shipping (Also in cobalt blue, red, black, white and pink), Wearing a small here. 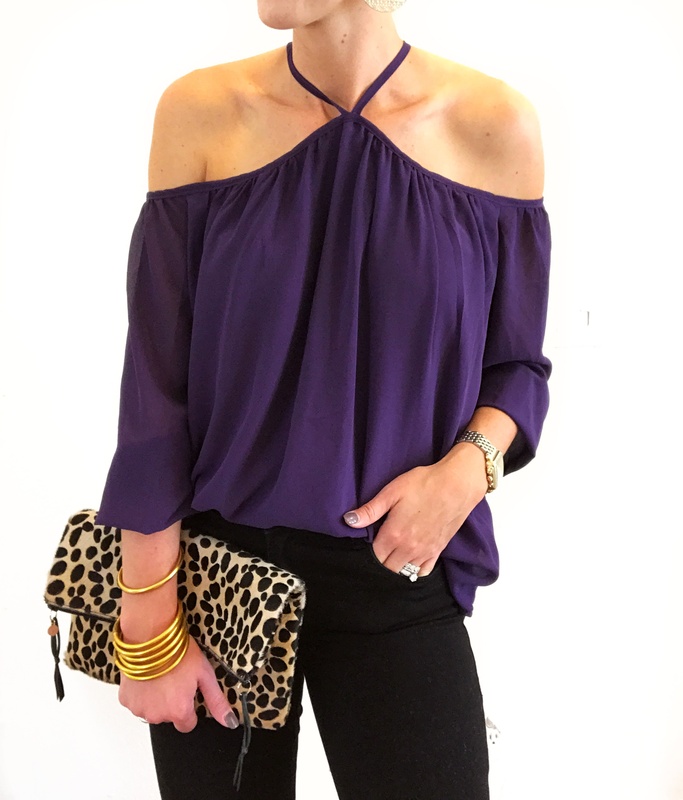 Off the shoulder, lightweight and has darling sleeve details! 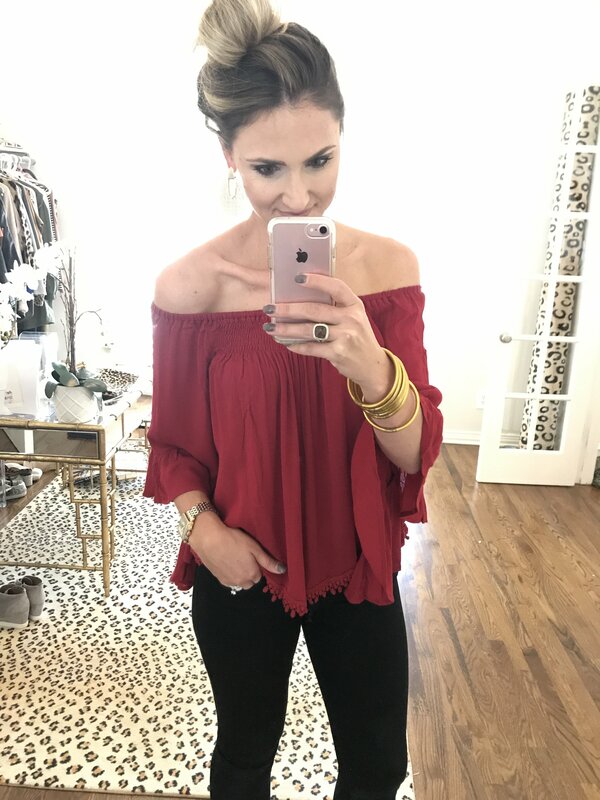 Off the Shoulder Blouse $18.99 + Prime Shipping | This top is O/S and I do find it runs small. This is definitely a favorite! 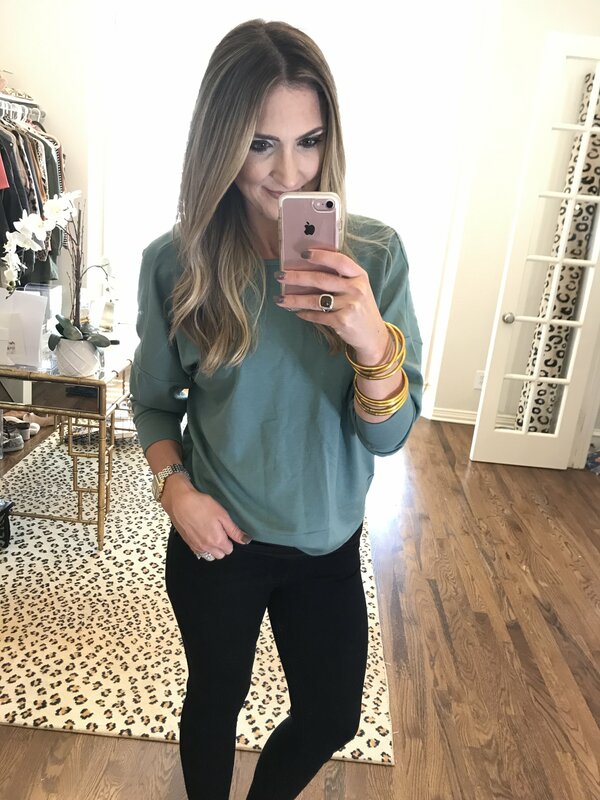 I’ve reviewed it before but bought this color for the tailgating post too…I just cannot get over how cute and easy the fit is for the $15 price! I didn’t expect to like this top as much as I did! It’s very unsuspecting and then when you put it on you’re like WOW this is such a simple, flattering fit. Wear it from work to weekend and trust me and buy at least two colors! 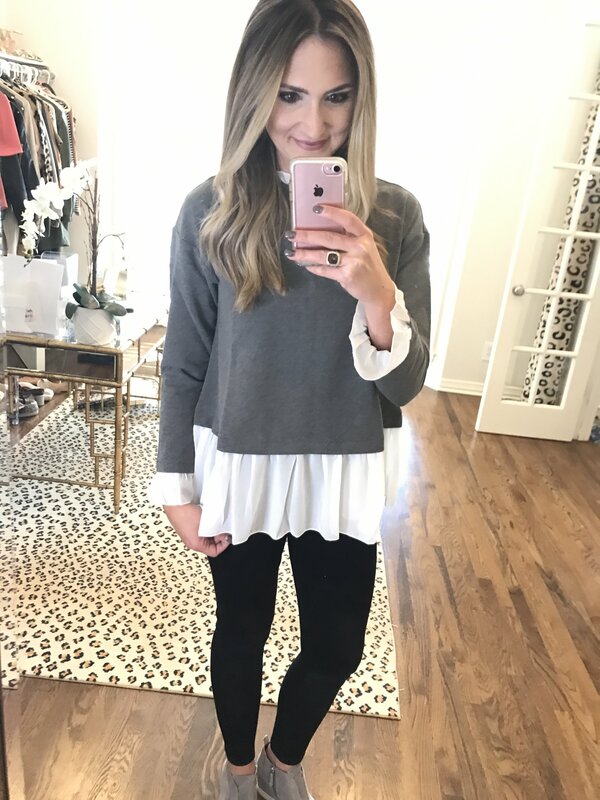 Casual Chiffon Top $17.99 + Prime Shipping, Runs TTS | Trust me and buy ALL the colors. Another dress that I had low expectations for and then I put it on and was like…dang this is flattering. This bodice fits snug and has a flattering racerback, while the bottom half skims the body creating great lines. The good news is that it also layers great with a denim jacket so that you still have plenty of time to wear it! Finally a few great dupes! These heels are a wonderful alternative to the Valentino Rock Studs! For around $50 they are a great shoe to wear for a night out! These earrings are also $10 (and Prime! )…compared to the $40 version at Nordstrom! 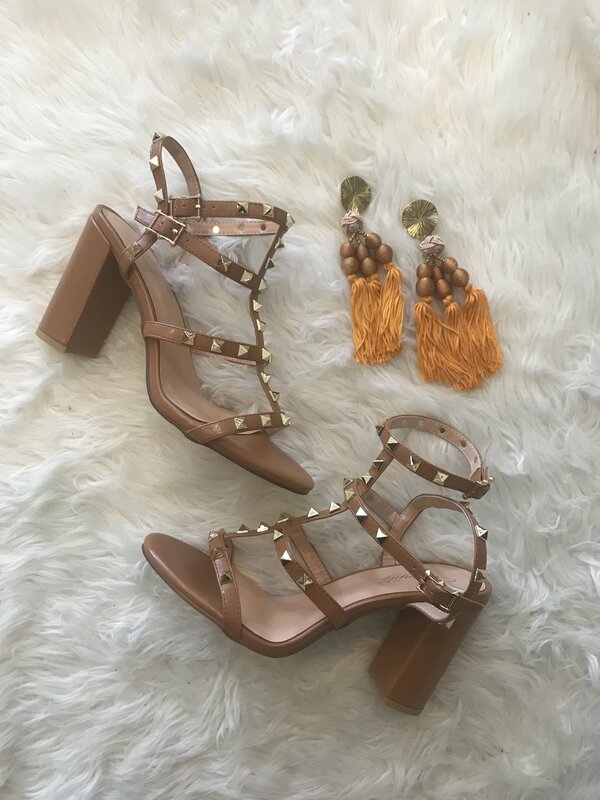 Rockstud Dupes $55 | Tassel Earring Dupes $10 + Prime Shipping! one: This under $20 knot front thermal was definitely the favorite from last months haul! It’s soft, fits well and can be worn so many ways! two: Convertible Backpack Crossbody. This one kind of surprised me…but not really because it’s SO functional! three: Long Sleeve V Neck Dress. Not surprised that this under $20 cotton dress made it here. 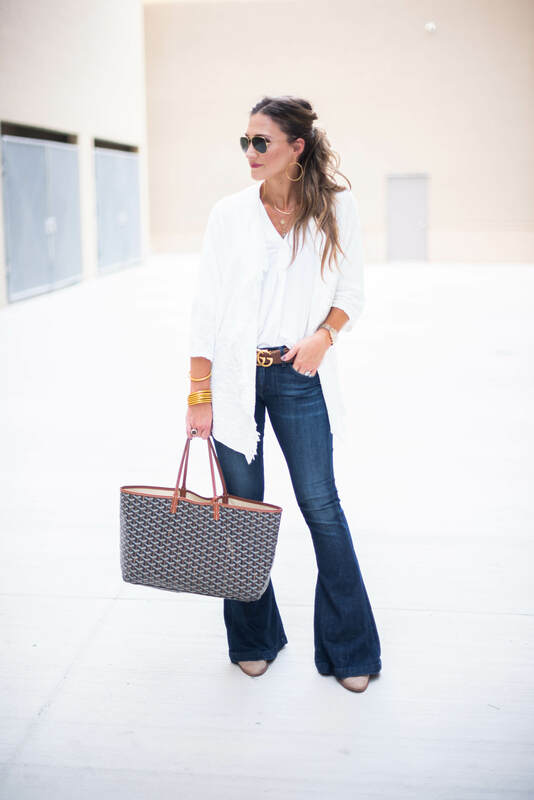 A great staple for Fall! four: Go To Leggings. 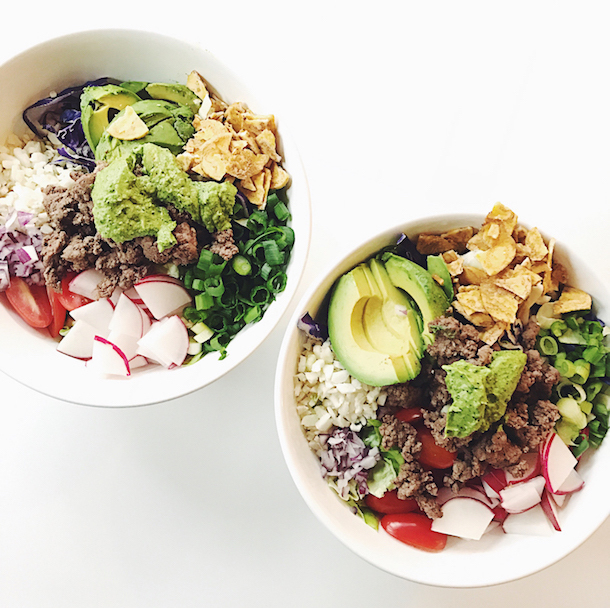 These continue to be a top seller month after month, even if they aren’t featured in the post–they are just that dang good! 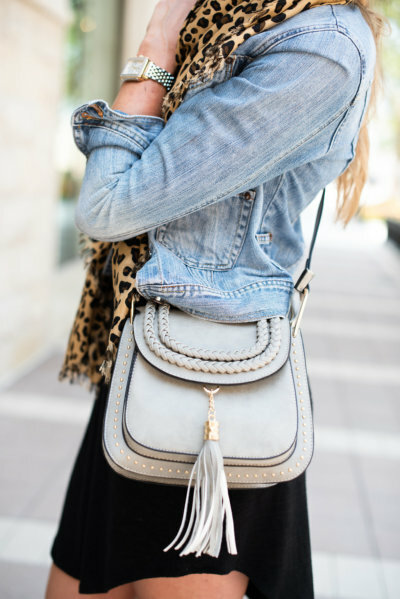 five: Cross Body Tassel Bag. 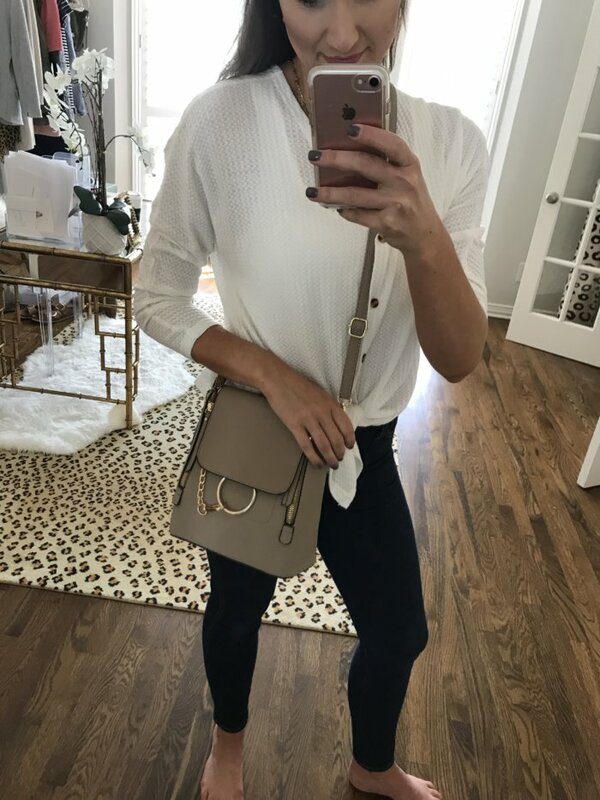 This bag is such a steal for $32! 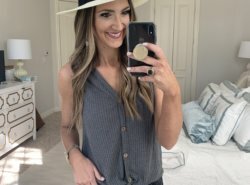 You are so well organized with these and take so much time to help us mamas who don’t have the time to look or research.I don’t have the time to look for flattering and unique pieces and you help so much in this way. Plus amazon is the best place and free shipping! Thanks again! well thank you so so much for being here! Hi Mallory!! This haul is amazing. You always present everything so nicely. I’m new to your blog and somehow thought the amazon hauls were 1X a season so to learn they are 1x a month, is beyond amazing. Not sure how you find time to do it all but so grateful that you do. Jennifer! Welcome! Yes, once a month!! As the Holidays approach I’ll do more focused ones around Holiday too! 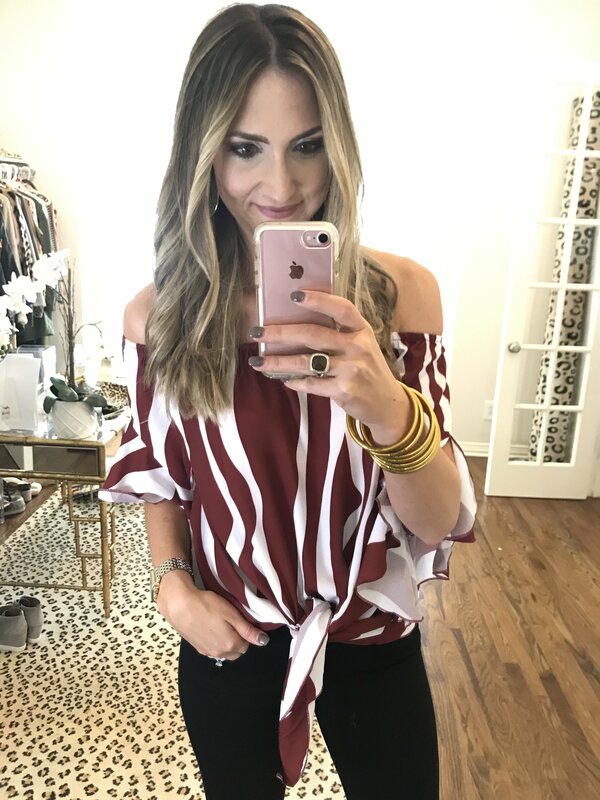 I have a quick questions and there is a good chance its user error on my part but when I click on the link for the off the shoulder maroon top, it takes me to the halter top instead. Any idea what I may be doing wrong? I’m still having the same problem. 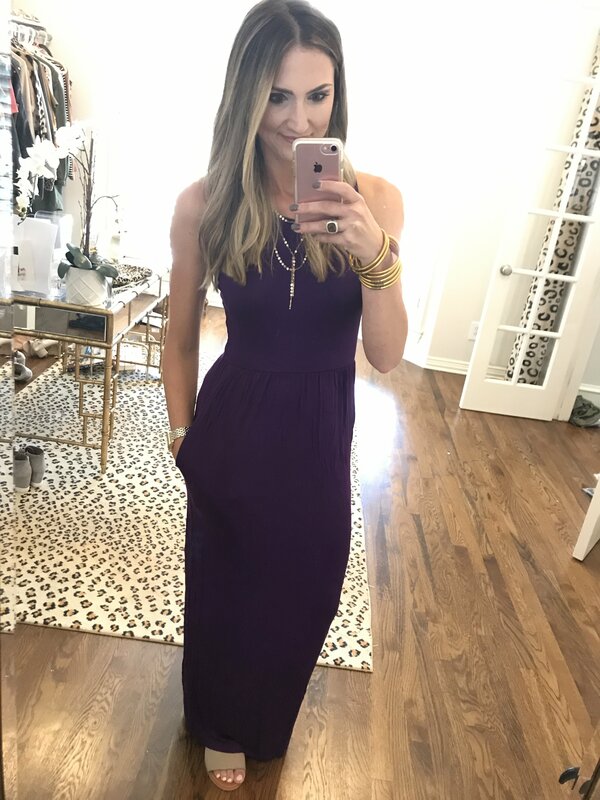 It keeps taking me to the purple halter/off the shoulder top when i click on link for the red/maroon off the shoulder top, thanks!! 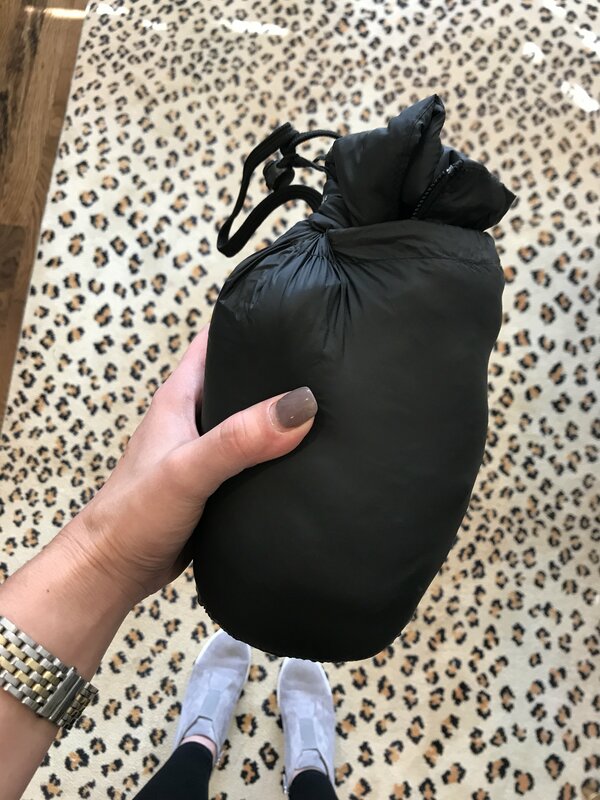 What size are you wearing in the packable down? 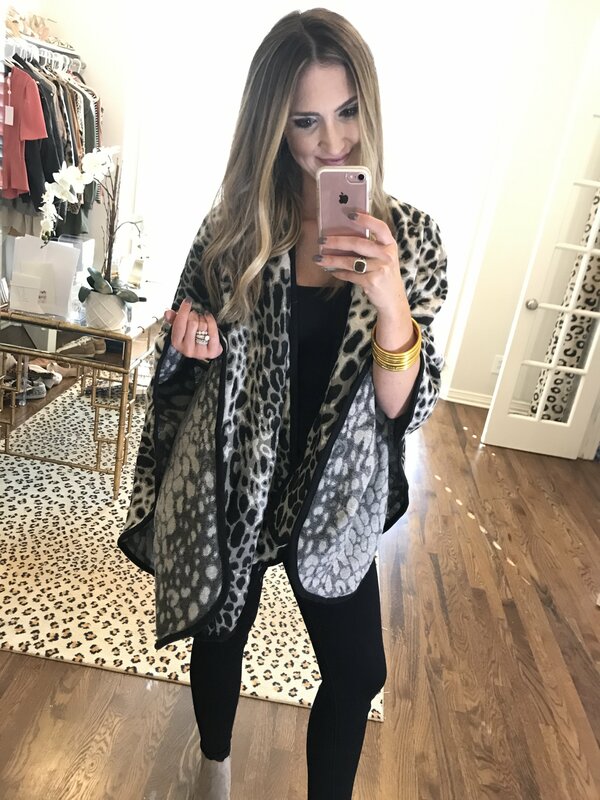 What size are you wearing in the long leopard cardigan? I LOVE these posts! You do such a great job and I’ve already purchased several things thanks to you! If we put something (linked from this post) on a wishlist and order it later, do you still get credit? I just love these amazon posts, but my bank account doesn’t! 🙂 Can you tell me what sizes you have in the fleece pullover, twist back pullover and the off shoulder sweater? Also the thermal knit tie top from last month? Amazon sizes can be all over the place! Thanks so much! Thank you for doing these post. They are my favorite!!! What gold bangles do you have on? I hope I didnt miss the link!!! Love the Amazon haul. Just ordered the thermal button down. I ordered my regular size (small) even at 8 months pregnant since many said it was still loose fitting. Hope it covers the bump! Are you wearing the navy or black in the packable down? Where did the leopard print area rug come from? I love it. What size are you wearing for the torquoise open back shirt? Thanks for all the finds!! 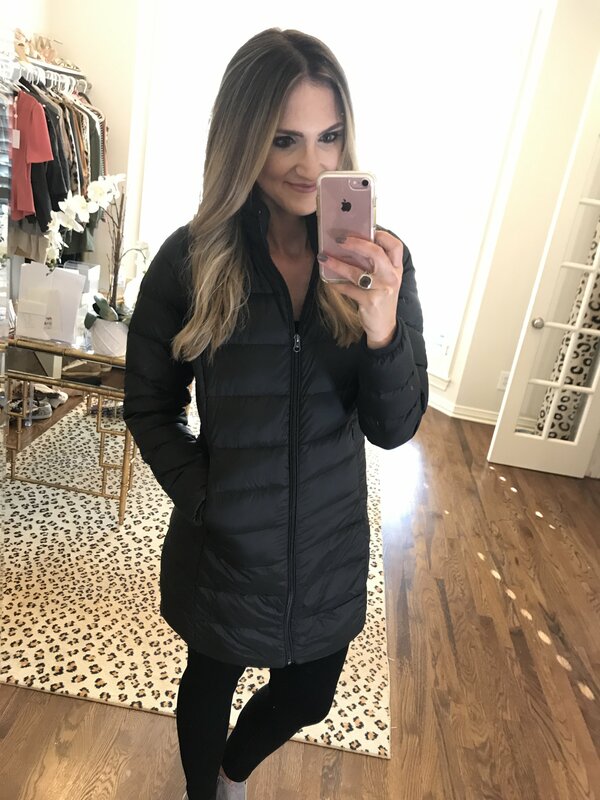 How roomy is the black down coat? It looks pretty fitted, do you think you could wear a sweater or layers under it? I have been hesitant to order clothes on Amazon because I’m never sure of the return policy, it’s often hard to find. Is there a general return policy for Amazon Fashion? I guess I mainly want to know if I have to pay shipping to send back returns. 😉 (I usually like to order 2 sizes if I’m not sure and send one back.) I see several things here I’d like to try! Hey friend! Overall returns on Amazon are SO easy, but it’s a little tricky. So right where it denotes if the item is “PRIME” it will also say “FREE RETURNS” next to it should that be. I would say 90% of Prime items have free returns as well, but always worth double checking. Love all of your stuff! Thanks for taking the time! 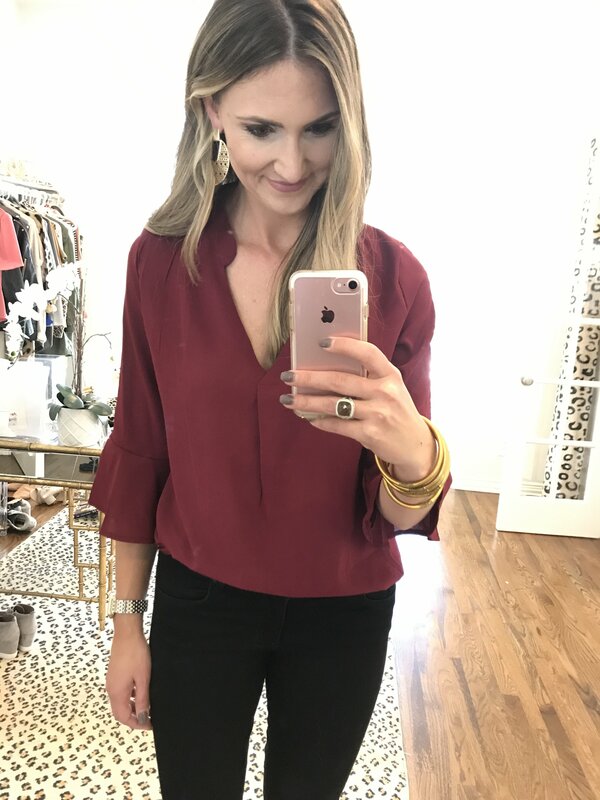 I had the same problem as Jennifer mentioned in the comments above … when I click on the link for the off the shoulder maroon top, it takes me to the halter top instead. Any idea what I may be doing wrong? Thanks!! For the camouflage pullover i try looks very different in the link, does your have the side slits or is it the wrong link? Hi! Thank you for these! Got the waffle knot tip plus some other, do you tumble dry the top? Thank you!